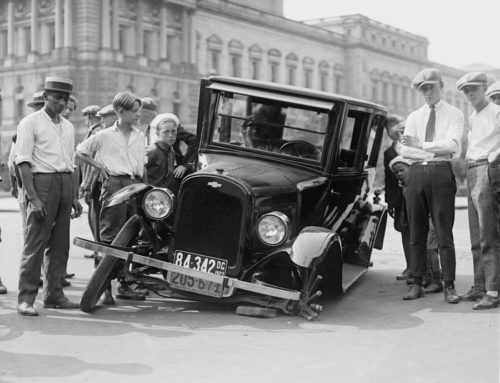 When it comes to end-of-life vehicles, old car batteries and tyres, or old appliances, many homeowners don’t know how to dispose of their junk. So when you’re desperate to de-clutter your home, it can be tempting to get rid of junk in ways that are detrimental to the environment and even illegal. 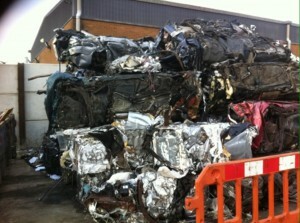 At Car Scrap Surrey, we’ve been collecting and scrapping vehicles and junk metal for over 30 years, so we understand the importance of disposing of your waste metal properly. 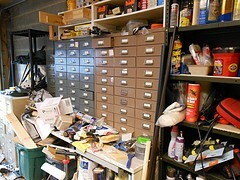 We’ve also proven to our customers that it’s actually easier to get rid of metal junk through the correct channels. To prevent you from getting into a sticky legal situation when clearing out your home, here’s what not to do with all your junk metal. Not only does burning rubbish cause localised air pollution, but it’s also dangerous to health: burning painted metal junk or tyres produces a range of toxic compounds that are poisonous when inhaled. As such, the Environmental Protection Act 1990 and the Clean Air Act 1993 have deemed burning certain types of waste an offence, with fines of up to £20,000 for burning junk on trade or commercial premises. This makes it especially important for businesses of every size to dispose of their metal waste properly by calling certified, reliable scrappers like Car Scrap Surrey. Fly-tipping or dumping rubbish in rivers, ditches or any unauthorised location harms the environment and is also a criminal activity in the UK. The Clean Neighbourhoods and Environment Act 2005 means offenders in England and Wales can be fined up to £50,000 in Magistrate’s Courts for fly-tipping. If caught dumping rubbish illegally, you can also be made to pay the investigation and clean-up costs incurred by your offence. The solution? 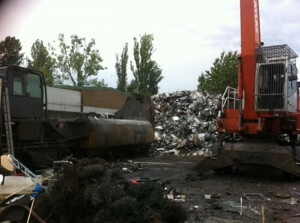 Simply contact an authorised scrapping service that will collect your junk for you and dispose of it safely. Widely considered harmful to the environment, landfills are a major cause of air and water pollution. Rather than contributing to their negative effects on the environment, having your old banger, broken-down dishwasher or empty cans scrapped for recycling actually benefits the environment. This is because when your metal is properly scrapped and recycled, it reduces the carbon footprint of the manufacturing and automobile industries where recycled metals are commonly used. 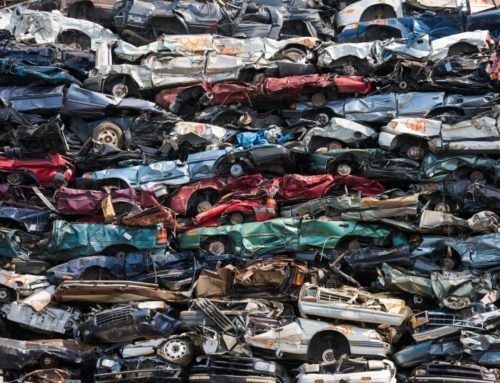 There’s absolutely no reason to lug your metal waste to a landfill or to be illegally dumped when there are trusted, experienced scrapping services like Car Scrap Surrey to take all the hassle out of getting rid of your metal junk. Give us a call on 020 8406 4181 for more information on how we can actually make you money and save you all the effort of getting rid of your scrap metal.